Today, at LinuxCon 2015 in Seattle, Canonical and IBM announced plans to create an Ubuntu distribution for LinuxONE and z Systems. The collaboration with Canonical brings Ubuntu scale-out and cloud expertise to the IBM z Systems platform, further expanding its reach and support. Our expansion of Ubuntu platform support to IBM z Systems is a recognition of the number of customers that count on z Systems to run their businesses, and the maturity the hybrid cloud is reaching in the marketplace. z Systems clients have enjoyed the performance, security and transactional capabilities of mainframes for decades. Massive amounts of credit card transactions go through mainframes, and most of the largest airlines in the world use z Systems for reservation systems. Canonical working with IBM will deepen z Systems mainframe commitment to open source by bringing the best workloads of the open world in order to help clients embrace new mobile and hybrid cloud workloads. 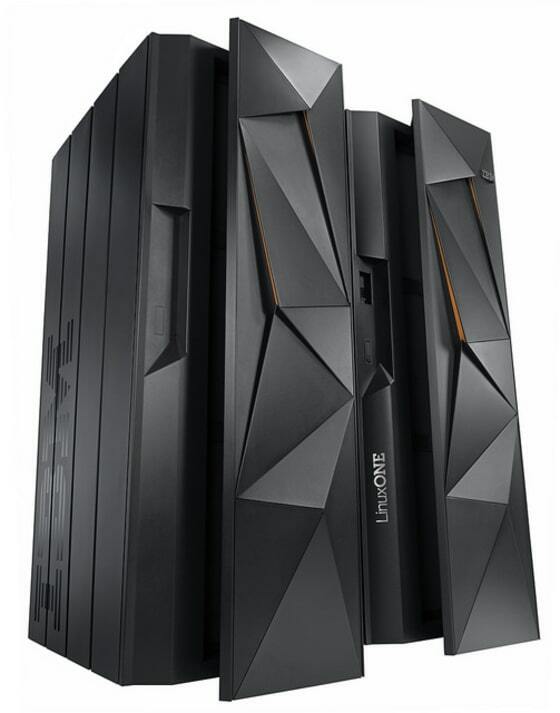 By bringing the Ubuntu operating system that developers love to the IBM z Systems mainframe, we will make the cloud and scale out applications (e.g., Apache Spark, MongoDB, MariaDB, and PostgreSQL) customers love to run on Ubuntu available to the mainframe. For public, private and hybrid clouds, the largest enterprises, along with today’s fastest growing new businesses, turn to Ubuntu, for its scale-out capabilities, performance, security, management, and the most robust set of tools for enabling easy and rapid modeling and deployment of services to any environment, be it cloud, bare metal, virtual machines or containers. Ubuntu’s leadership in cloud stems from our early recognition of IT’s evolution to a cloud model, and our commitment over several years, to help clients reap the benefits, by providing a scalable, open platform, and the tools for operating in a cloud environment – advanced service modeling capabilities, provisioning and systems management. With a focus on enabling any workload on any substrate, Ubuntu is supported across the broadest range architectures: POWER, x86, ARM and now z Systems. With mainframe support added to the mix, Canonical will be supporting every major platform in use by businesses today, fulfilling our goal to support the leading platforms that clients are demanding for scaling and cloud requirements. With support of z Systems, including LinuxONE, Canonical is also expanding our relationship with IBM, building on our support for the POWER architecture and OpenPOWER ecosystem. Just as Power Systems clients are now benefiting from the scaleout capabilities of Ubuntu, and our agile development process which results in first to market support of new technologies such as CAPI (Coherent Accelerator Processor Interface) on POWER8, z Systems clients can expect the same rapid rollout of technology advancements, and benefit from Juju and our other cloud tools to enable faster delivery of new services to end users. In addition, our collaboration with IBM includes the enablement of scale-out deployment of many IBM software solutions with Juju Charms. Mainframe clients will delight in having a wealth of “charmed” IBM solutions, other software provider products, and open source solutions, deployable on mainframes via Juju. The combination of Ubuntu’s scaling, cloud tooling and the latest technology innovations such as LXD, Canonical’s next generation hypervisor, combined with z Systems’ rock solid reliability, performance and security, will provide an outstanding platform for the demanding mobile and hybrid cloud requirements of today and the future. We are looking forward to working with IBM z Systems existing and new customers to provide the best cloud and scaling environment, and making the experience of Ubuntu on IBM mainframes absolutely fantastic.